Hello to that toddlin’ town, and get ready for a showdown. Well, more like a hoedown. 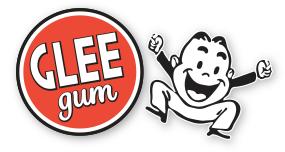 Glee Gum is heading your way to turn the whole Windy City into a Glee-ful par-tay! First up, the Chicago Green Festival. Open to the public, the Green Fest will be held at the Navy Pier this very weekend — May 22nd – 23rd. Expect wonderful workshops, organic eats, sensational speakers and, of course, GLEE GUM! Glee Gum will be one of 350 green businesses exhibiting there. Find us at booth # 210! And to learn more, click here. Next up, the NCA Sweets & Snacks Expo. From May 25th – 27th, buyers, brokers, and store owners flock to McCormick Place in droves to check out and taste-test all manner of delicious, sweet (and occasionally salty) treats. Naturally, Glee Gum has got to go! If you’re one of the lucky attendees or another vendor, come see us at booth # 752 and enjoy some Glee-ful samples! For more info, click here. What else will we do in Chi-town? Who knows! But it is sure to make for a swell time in the Second City. Ciao for now, gum chums!